In international relations and security issues, smaller states – particularly those in direct proximity to regional super powers – usually find wisdom in collective arrangements, trying to maintain maximum sovereignty in a potentially hostile environment. This is a lesson that a post-Brexit United Kingdom, which may yet fragment into a number of smaller states, is likely to learn the hard way. But as the Latvian saying goes: “schooling costs money”. In other words, lessons can be painful. Latvia – and many other states whose modern incarnations as independent polities date from the collapse of the Romanov, Habsburg and Hohenzollern empires in the wake of the First World War – know very well the cost of collective security failure from their experiences of the loss of sovereignty during and after the Second World War. The understanding that there is safety in numbers prompted almost all of these states to integrate into the Euro-Atlantic collectives of the European Union and NATO as soon as possible following the fall of communism in 1989-1991. Already during the interwar period, however, the so-called Randstaaten realised that they needed to forge alliances in order to avoid being treated merely as a cordon sanitaire, serving the geopolitical interests of some great powers rather than their own. Due to regional tensions and conflicting ambitions, however, such initiatives rarely bore fruit. A textbook example of this is the ill-fated story of the Baltic Entente between Estonia, Latvia and Lithuania. The agreement took 15 years to be formalised in a treaty in 1934, but it never became the basis of a close interstate co-operation before the states were swallowed by the Soviet Union in 1940. The original idea was that the Baltic Entente (or Union) would include other countries. Representatives from the Baltic states, Finland and Poland, as well as from the Belarusian and Ukrainian People’s Republics, were invited to a conference in Bulduri, Latvia in 1920 to discuss the alliance. But this was not the only grand scheme for small-state pooled sovereignty being promoted at the time. The prospect of the Nordic–Baltic Union was also championed in some circles. Polish strongman Józef Piłsudski formulated his own framework for a regional union – Intermarium (Międzymorze). This vision, based on a heroic narrative of the Polish–Lithuanian Commonwealth, aimed for a federation of states stretching from the Baltic to the Black Sea, with Poland as the natural leader of the constellation. In its earliest version, dating back to the early 1920s, Intermarium was originally meant to include Poland, Lithuania, Belarus and Ukraine, and to constitute a reconstruction of the aforementioned Commonwealth. 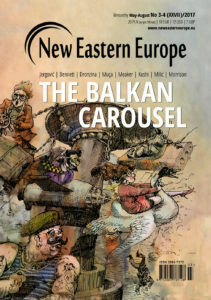 A later interwar version sought to bring in countries from the Balkans, Central Europe and the Baltic Sea region. Such plans were a response to the perceived threats that smaller states of the region faced by a resurgent, revanchist Germany and a destabilising, revolutionary Soviet Union. All these interwar attempts, however, resulted in very little. Ironically, although Poland was the main proponent of co-operation, and stood the most to gain from greater collective security in the region, it was mostly its own conflicts with its neighbours that stood in the way of co-operation. The disagreements between Poland and Lithuania were the most insurmountable obstacles, as rival claims over Vilnius and parts of Belarusian territory precluded any amicable resurrection of the Commonwealth idea. Admittedly, Lithuania was also a problematic partner, as Latvia and Estonia were wary that forging the Baltic Entente would drag them into a conflict with Germany over the Lithuanian annexation of the Memelland. 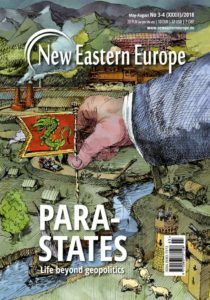 With the exception of some émigré circles, the idea of Intermarium largely disappeared from the political agenda after the Second World War. Even with the redrawing of the map of Central and Eastern Europe in the 1990s following the demise of communism, integration into various collective structures, such as NATO and the EU, was a much more attractive option for most states than a revived Piłsudskian federation. Nevertheless, some enthusiasts bided their time, waiting for an opportunity to relaunch Intermarium as a viable solution. For those who were patient, this time came in the late 2000s. 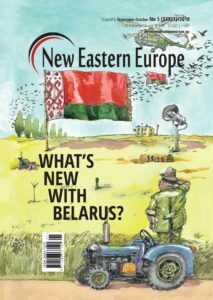 Poland and the Baltic states had already achieved their goal of full membership of the EU and NATO, and the EU was preparing to introduce its Eastern Partnership programme aimed at deepening relations with countries like Belarus, Ukraine and Moldova. At the same time, the unfolding global financial crisis suggested that existing blocs, based on Brussels or Moscow, may not have the solutions to the emergent problems and new ways of thinking are necessary to meet contemporary challenges. 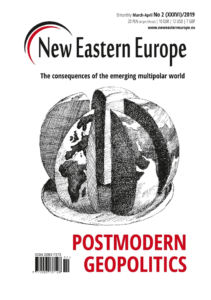 From the beginning, however, there were competing political visions attempting to use the Intermarium idea as a mobilising factor to bring new constellations of countries together. One of these was a vision of uniting the region around expressly liberal political and economic values. 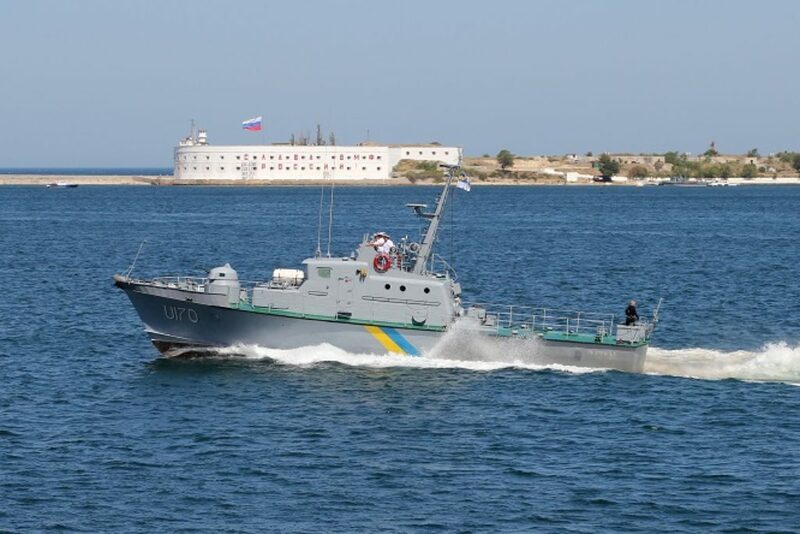 A representative of this current was the Baltic to Black Sea Alliance (BBSA), founded in Riga in late 2008. 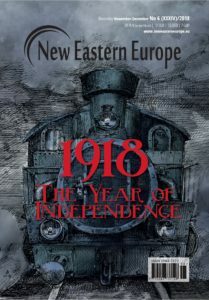 Around the same time, there was also a revival of the Intermarium idea, in a version more akin to the one originally formulated by Piłsudski himself: namely, one that was more nationalist, conservative and expressly anti-communist, and where Poland would be recognised as the nation that largely shaped the unique character of the region. 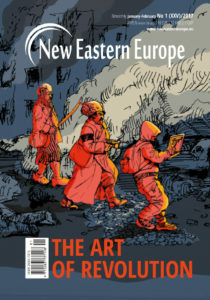 This idea, along with the view that the United States’ foreign policy should promote the consolidation of Intermarium as a geopolitical bloc, was forcefully argued for by the Polish–American historian Marek Jan Chodakiewicz in his 2012 book Intermarium: The Land between the Black and Baltic Seas. George Friedman of Stratfor also discussed Intermarium in the context of the future of the region. However, only as a result of the Ukraine crisis in 2014 did any of these competing visions gain much momentum. 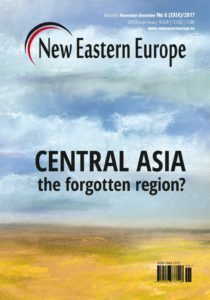 The disappointing failure of the EU, NATO and the US to prevent the annexation of Crimea by Russia, and the fomenting of armed conflict in Donbas, led actors in Ukraine and its neighbouring countries to take a closer look at alternative models for regional co-operation, particularly with regards to collective security. 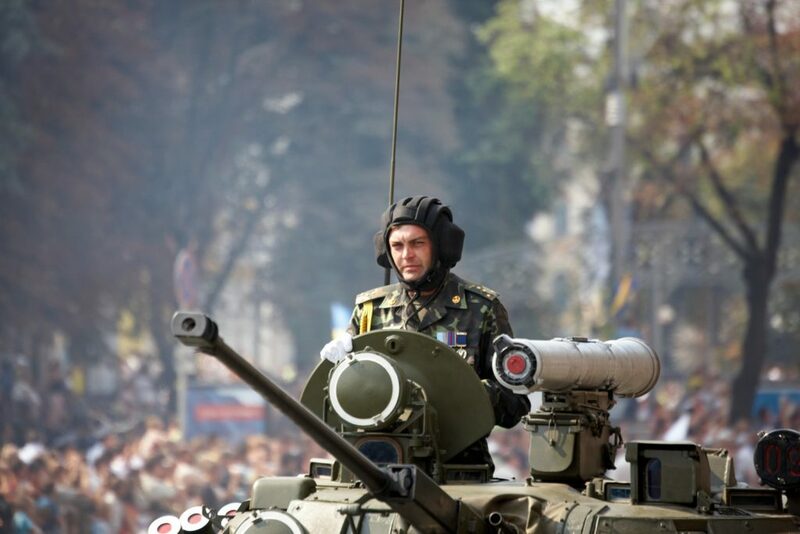 Unstable political developments in Ukraine following the EuroMaidan brought many people from markedly different parts of the political spectrum closer together, especially on issues related to peace and stability in Central and Eastern Europe. The renewed proposal in 2015 of a military alliance, based on the concept of Intermarium, found adherents amongst both nationalist conservatives, like Polish President Andrzej Duda, and prominent western-oriented liberal academics, such as Andreas Umland. In the latter half of 2016, however, a new group has started to claim the idea of Intermarium as its own: the far right. On July 2nd and 3rd last year, a conference devoted to Intermarium was held in Kyiv. The host and organiser was Andriy Biletsky of the Azov movement. Participants included guests from the Baltic states, Poland, Belarus, and Central and South-Eastern Europe. Representatives from the far right and even fascist groups from across the region (such as members of Marian Kotleba’s Slovak Brotherhood) were in attendance. 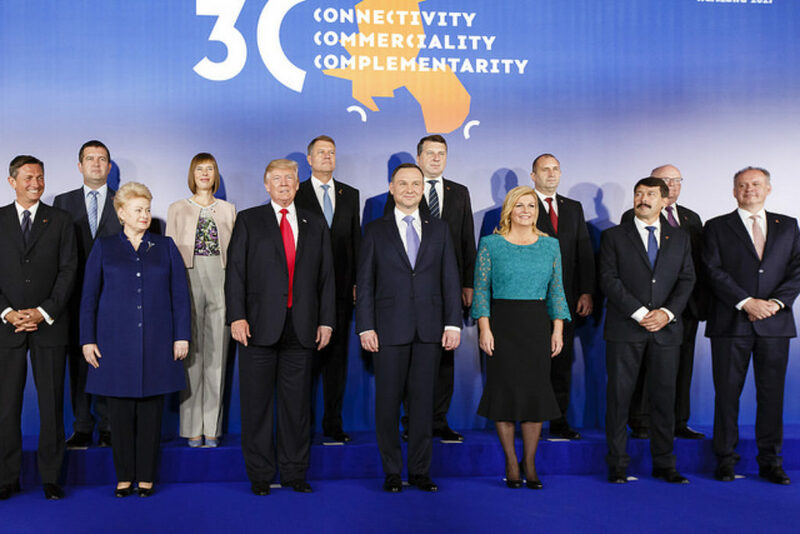 Also present – and granting an aura of legitimacy to the proceedings – were a number of academics, individuals from foreign embassies, a person connected to the Lithuanian media and even someone affiliated with the Konrad Adenauer Foundation. The appeal of Intermarium on the far right lies in how it can be portrayed as a political third way – the favourite trope of fascists. 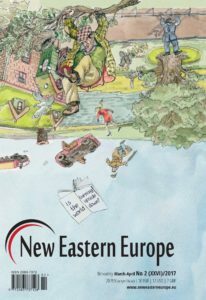 This interpretation takes the ideas of nationalist conservatives further by positing that Intermarium is, essentially, the remaining heartland of the “true Europe”, a bulwark not only against Putinist “neo-Bolshevism” encroaching from Moscow, but also against the neoliberal, multicultural, secular and feminist “neo-Bolshevism” (also known as “cultural Marxism”) emanating from Brussels. 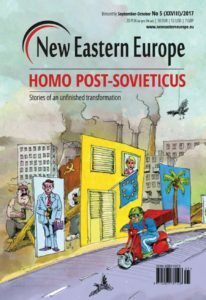 In this worldview, the decadent EU is as dangerous to the nations of Intermarium as a threat from a belligerent Russia. The relationship to NATO, seen as a brotherhood of arms under the guidance of the more martial US, is somewhat ambiguous. While the rise of Trump is generally viewed quite positively by white, European nationalists, his mixed signals about Washington’s commitment to Ukraine and its NATO allies on the eastern flank cause concern. In the end, however, Intermarium’s security is considered dependent upon the fighting spirit of its own indomitable people. Were this type of discourse limited to the volatile forum of Ukrainian politics in general, and to the provocations of the Azov Civil Corps in particular, it would be tempting to dismiss the far right’s enthusiasm for Intermarium as a marginal phenomenon. Unfortunately, though, other political groups, with a greater ability to influence politics, are also involved in spreading these ideas. Discussions of the far right variant of Intermarium are to be found on the official website of the National Alliance (NA) in Latvia, a political party that is part of a coalition government in an EU and NATO member state. One of the principle figures here is Raivis Zeltīts, a leader of the NA’s youth wing and a key promoter of identitaire ideology in Latvian politics. 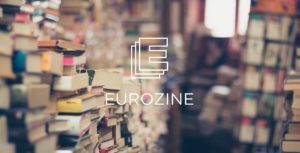 Zeltīts is also one of the main contributors to the The New Nationalism website, which brings together blog posts from Azov’s Reconquista website, as well as hosting contributions by commentators of the Scandinavian far right. With The New Nationalism, Zeltīts has created a political platform, linking the far right from the Baltic to the Black Sea. 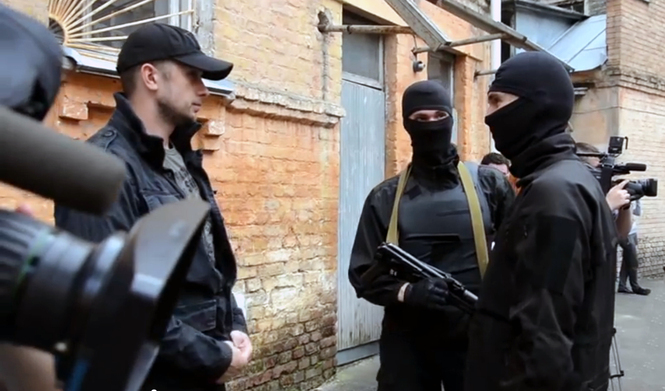 Through other seemingly innocuous initiatives, the ties between far right elements within the NA and Azov are further strengthened and normalised. For example, an exhibition devoted to the political legacies of Latvian General Pēteris Radziņš, presented as an interwar ideologue of Intermarium, was recently displayed at the Latvian Embassy in Kyiv. The exhibition was the brainchild of the General Pēteris Radziņš Society (with close ties to the NA) and was arranged to be shown at the embassy by the NA. Not only public and cultural figures from Latvia and Ukraine were present at the opening of the exhibition, but also representatives from various Latvian and Ukrainian far right political groups, as can be seen from a report of the event published on Azov’s Reconquista website. Holding the event on the premises of the Latvian embassy gives the impression that this is an ideology sanctioned by the Republic of Latvia, which legitimises the political views of Azov and the other far right groups present. 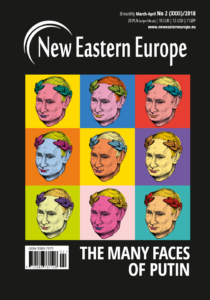 As I have discussed elsewhere, despite their relatively small size, Latvia’s far right-groups can have a disproportionate role in the transmission of radical ideologies from East to West, and vice versa. 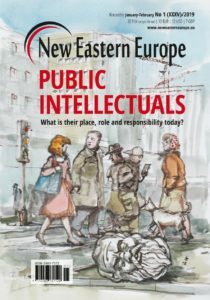 Furthermore, Latvia’s geopolitical position and cultural makeup makes it an ideal entry point for ideological conflicts imported from further East, and its membership of the EU and NATO allow it to act as a Trojan horse for increasing the clout of the far right in the Euro-Atlantic community. The case of Intermarium is a telling example of how far right elements entrenched within Latvia’s political establishment can act as enablers and legitimisers on the European stage for some of the most extreme groups in Ukrainian politics. There is, however, an ironic note to the far right’s embrace of Intermarium as a mobilising idea. 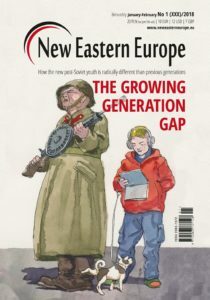 If it succeeds in becoming a significant political discourse, weakening the region’s integration with the EU in favour of a more “authentic”, nationalist confederation, there is certainly no one who would be more pleased with the development than a major figure of the Eurasian far right: Aleksandr Dugin. The far right’s take on Intermarium is in many ways compatible with Dugin’s own views of the liminality of the lands in between Russia and Western Europe, and he would be glad to see them as a nationalist buffer zone for a traditionalist Russia against liberal imperialism. Unwittingly, Biletsky and Zeltīts are furthering Dugin’s agenda. Small states, in particular, would pay a heavy price for misunderstanding the lessons of the past. Matthew Kott is a historian and researcher with Uppsala University.